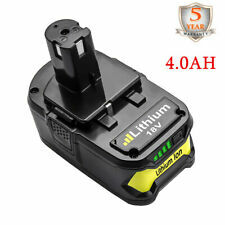 Replace for Ryobi 18V Battery 2500mAh Li-ion One P107 P102 P103 P105 P108 P109. 18V 4.0Ah P108 Li-ion Battery for Ryobi P102 P103 P104 P107 P122 MP. BPL-1815, BPL-1820G, BPL18151, BPL1820, P102, P103 P104, P105, P106, P107, P108, P109. 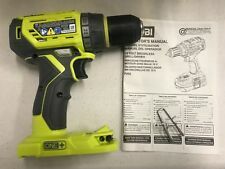 You are bidding on a brand new never used compact lithium-ion model p102 ryobi 18v rechargeable plus one battery only. 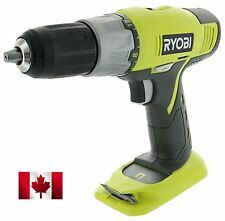 Its compatible with all ryobi tools green and blue ones. The Ryobi 18-Volt ONE System introduces the new must have addition to the AirStrike line-up. The Ryobi one plus AirStrike 18-Gauge Stapler is for use with 1/4 in. narrow crown staples. Includes P360 Stapler, Belt Clip, Operators manual and a few 1" narrow crown staples. Ryobi P504G 18V Cordless 5 1/2" Circular Saw Trim Saw in used condition. 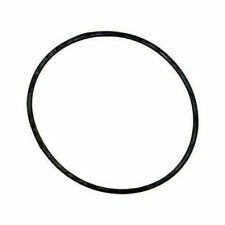 Saw works properly shows signs of wear from use, nicks, scratches, dust, dirt, stains and other wear as pictured. 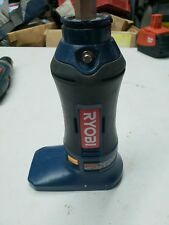 Ryobi Sander with carrying case; pre-owned, like new. Enjoy hassle-free cleaning with the cordless convenience of RYOBI ONE . The lightweight design allows you to reach high corners and surfaces, and the large, angled dust cup allows for easy emptying and dust removal. 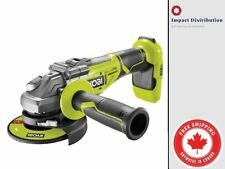 INCLUDES:Ryobi 18V intelliport dual chemistry battery charger ( tool only) Model P118. FEATURES:Dual chemistry charger charges all Ryobi ONE batteries, most in 1 hour or less.